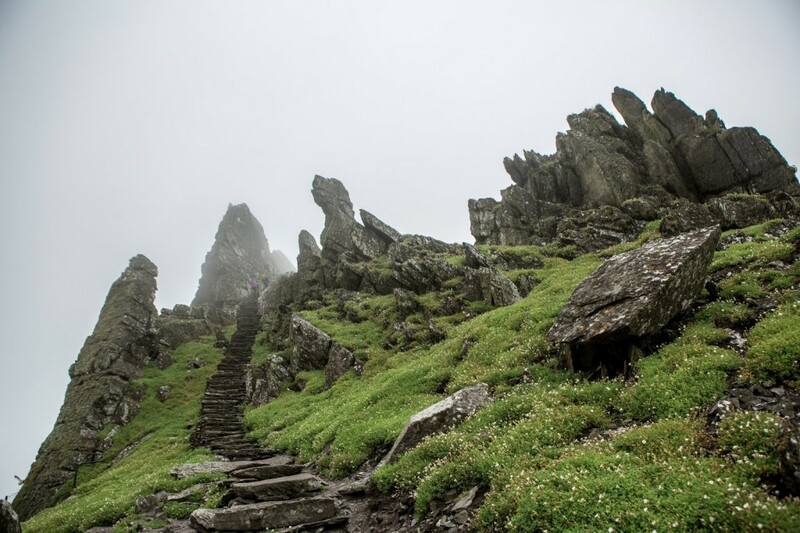 Ahch-To – Skellig Michael, Ireland. Rey is tasked with the mission to hand back to Luke something he lost at the end of The Empire Strikes Back. With the aid of star maps provided by both BB-8 & R2-D2 the Resistance and General Organa-Solo are able to locate the whereabouts of the missing Luke Skywalker. 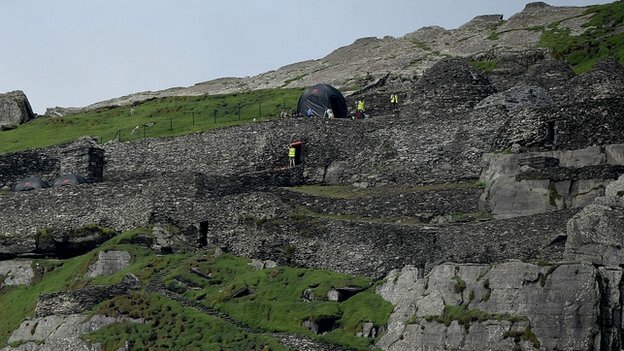 Althought the Planet may not have been named in the film, we know that the scenes where filmed of the West coast of Ireland on an island called Skellig Michael. 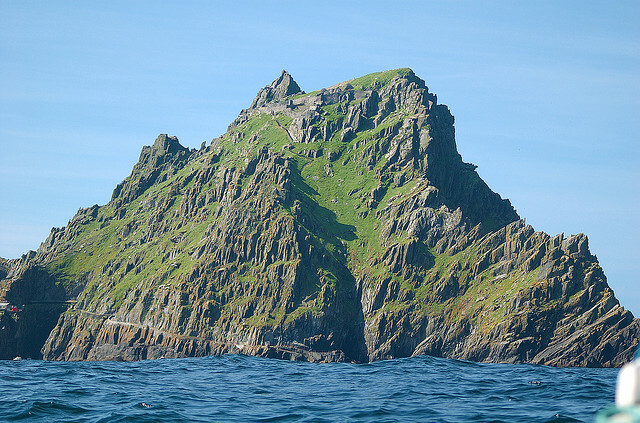 The Skellig Rocks are renowned for their scenery, sea bird colonies, long-lived lighthouse service, their early Christian Monastic architecture and rich underwater life. 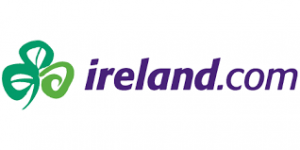 The two Skellig Islands – Skellig Michael and Small Skellig – stand in the Atlantic ocean 12km (8miles) south west of the mainland. 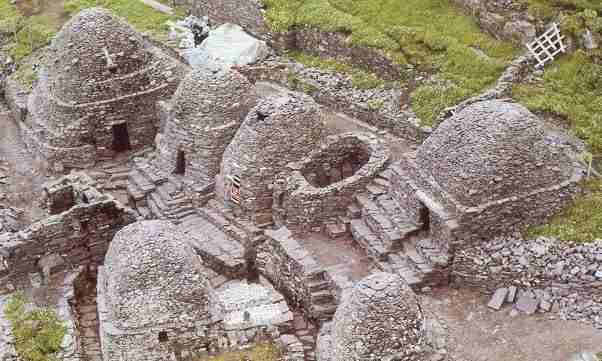 At 714 feet (218 meters) above sea level, Skellig Michael towers the higher and is larger in area – 44acres (17 hectares). Jedi News Members trip to the Island.